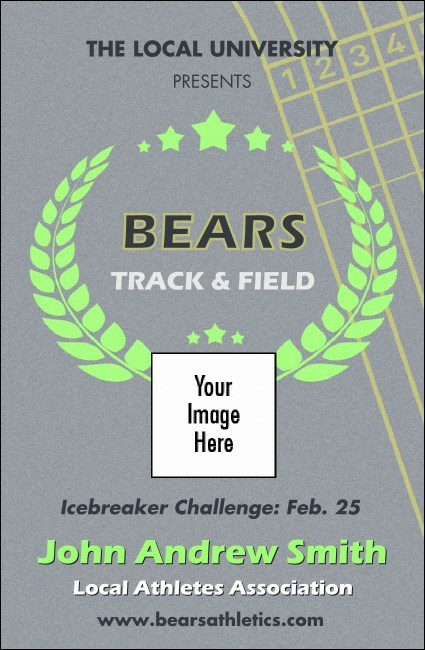 Put your special guests on the podium and give them easy access to perks using the Track and Field VIP Event Badge Small. Centered by a lime green laurel wreath, this design balances the sport’s past and present. Lay out meet details and VIP benefits using its eight text lines. Get a jump on attendee organization with TicketPrinting.com event badges.